Chris Miller grew up in the deep South, but ironically, it wasn’t until he moved to New York City that he turned to roots music and folk as a primary musical focus. A lifelong musician with a foundation in the Jazz tradition, Chris was mentored by the legendary Bunky Green, and went on to receive his Masters from SUNY Purchase. 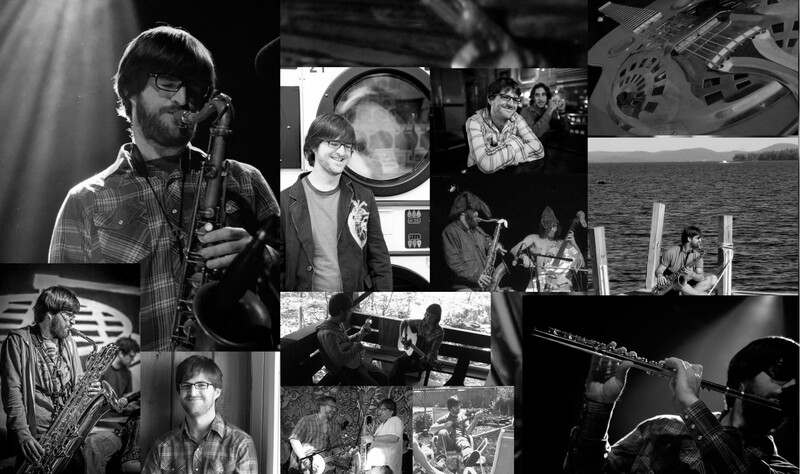 Chris plays a variety of instruments (piano, dobro, banjo, flute), but it’s his captivating saxophone style he is known for, and he’s performed at major festivals across the country, including Grey Fox, Rhythmn and Roots, Pickathon, and Suwannee Springfest. Chris has also been featured on recordings by major artists including A.C. Newman, Doug Wamble, The Revelers (the Red Stick Ramblers minus 1), Mike & Ruthy, and The Andrew and Noah Band. Chris is Chief Operating Officer for 501(c)3 non-profit SearchandRestore.com and is frequently featured as a concert critic on the site. As an educator he has taught privately and in a classroom setting. Hi has a Master’s Degree in Jazz Performance at SUNY Purchase. He has been a faculty member at the Northeast Florida Music Camps, a guest artist at Miles of Music Camp, director of students at the 2009 Purchase Jazz Institute and was a founding faculty member of the 2010 Purchase College Jazz Workshop.